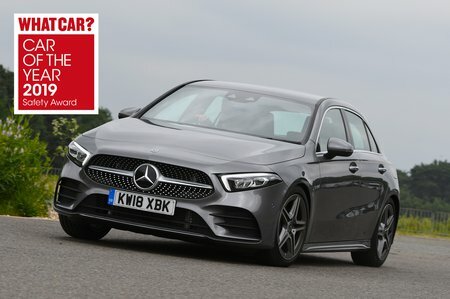 Mercedes A Class A180 Sport Executive 5dr Auto 2019 Review | What Car? What Car? will save you at least £2,469, but our approved dealers could save you even more. Mid-rung Sport is our favourite trim. Over and above SE trim, you get more attractive 17in alloy wheels, more powerful LED headlights, dual-zone climate control and various styling enhancements. Consider adding the Executive package and, if you're feeling flush, the Premium package, too. This 1.3-litre turbocharged four-cylinder engine produces a relatively modest 134bhp. However, it rarely feels out of its depth, even if you do need to work it quite hard to get the best from it. More of a problem is how coarse it sounds when you do.